U.S. REPORTING AGENCY GROUND SQUAD OPERATIONS. WHEN SAFETY IS YOUR FIRST PRIORITY! Click to DONATE TO HAITI RELIEF NOW! 04/06/2011 SCATTLEBAGGING Alert. Fight Scattlebagging Today! 06/20/2010 Federal Funding Conference A go (UPDATE)! All U.S. 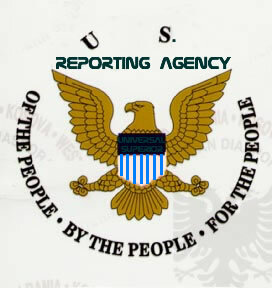 Reporting Agency Ground Squad Agents (GSA) must complete the U.S. Reporting Agency Special Agent Training Coarse (SATC). Special Agent Training (SAT) schedule information is available upon request. For further information, email trainingoperations@usreportingagency.org. U.S. as well as international clearances are in the final stages of completion for agents completing the 2018 U.S.R.A. Academy. Badge assignment distribution will occur per team, per class and/or per Specialized Agent upon authorization from the Supervisory Special Agent (SSA) Assigned to your team, class, unit and/or Squad.